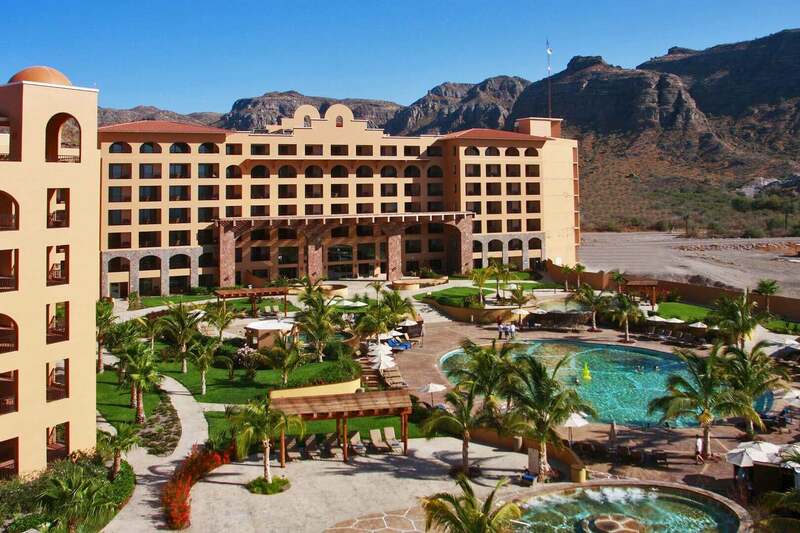 Guests at Villa del Palmar at the Islands of Loreto resort have long been able to bask in the beauty of the Giganta Mountain Range and the waters of Danzante Bay. Long have they noted the stunning beauty of Mexico‘s Baja California region and noted how they would like to stay outdoors all day and night if they could. The managers of the Villa del Palmar at the Islands of Loreto heard and this was where the idea for the Danzante Bungalows came from. Glamping meets the traditional vacation club vacation. Danzante Bungalows consists of a fully equipped bathroom, a living area, a private terrace, a hot tub (also private) and a stunning master bedroom that has a king-sized bed. These 800 square foot luxury quarters at Villa del Palmar at the Islands of Loreto offer guests everything they made need to have a great vacation, but they do something more too. The cabin walls can be pulled back to afford a truly unprecedented view of Danzante Bay and the star filled night sky. These bungalows offer the closest thing to camping as can be found without actually sleeping outdoors. The seclusion and close proximity to nature are much the same, but these cabins have the benefit of climate control and a Bose sound system. Villa del Palmar at the Islands of Loreto guests can rest assured that they are not going to be giving up any of the luxury and comfort that they are used to when they sign up for this most unusual and unique experience. This is a new way of vacationing in Mexico which is so close to and yet so far from the usual glamour and glitz of a vacation on the Sea of Cortez. Not only are these Bungalows to be found in the most stunning area of Baja California, right in the midst of some of the most iconic natural wonders to be found there, but they sit just a stone’s throw from the pristine beaches of the Loreto resort. Furthermore, as a part of the Villa del Palmar franchise they represent the highest standard of quality and reliability available in Mexico. Choosing to stay in a Danzante Bungalow at the Villa del Palmar at the Islands of Loreto resort could be the start of an adventure you never forget.